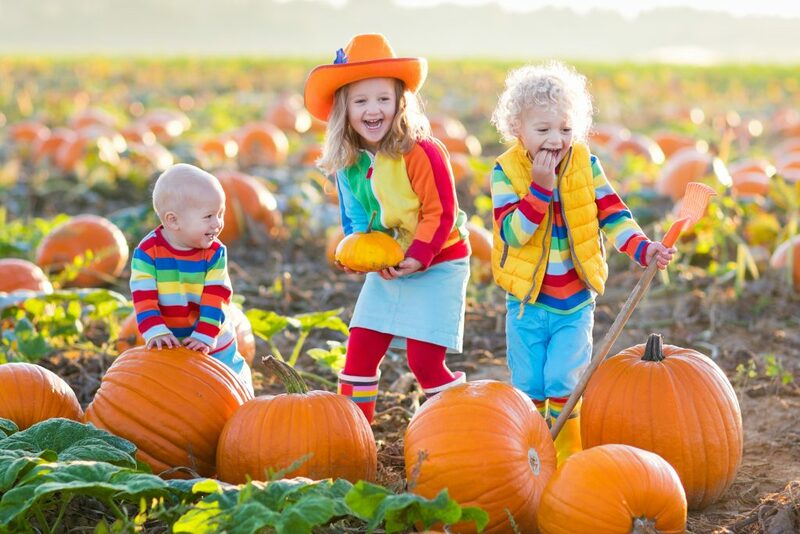 Little girl, boy and baby picking pumpkins on Halloween pumpkin patch. Children playing in field of squash. Kids pick vegetables on a farm in Thanksgiving holiday season. Family having fun in autumn.